5 Cart Recovery Myths Debunked! Looking to grow your eCommerce store? Then you probably know you need a cart recovery strategy. A huge percentage of carts filled with products are eventually abandoned, with potential customers disappearing without a purchase. But like any serious issue, there are a number of myths that have sprung up around it. Some of them are based in truth and some are downright false. But every single one lies about the reality behind cart recovery. Today, we’ll explore the facts behind the myths and what you can do instead. You’ll learn how to ensure that every cart gets the buyer it deserves—without losing more money on ineffective techniques. 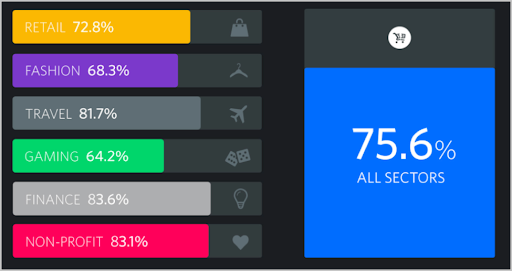 This myth takes a lot of different forms, but the most common starts with metrics. You look at your metrics, and you don’t see abandoned carts. Or at least, not that many. You must be the exception to the rule because you don’t actually have a problem with customers abandoning carts. You’re closing a huge percentage of sales. Besides, won’t customers contact you if their orders don’t go through? Either way, they’ll still come back and place an order if they’re the right customers. An abandoned cart just means the wrong shopper came to your site, right? The truth is that abandoned carts are a huge deal, and if you aren’t seeing them in your metrics, your metrics are wrong. Focusing on details like this can double your customer lifetime value, and if you’re not actively working to recover your carts you’ve made a mistake. Don’t believe me? Here’s some basic data about abandoned carts in different industries. Some sectors are worse than others, but the average hovers around three out of four carts abandoned. That means either your store truly is miraculous, or you’re missing a lot of opportunities. You’re right—you’re probably just missing out on a lot of carts that aren’t being paid for by your customers. There are a few other factors that could be affecting this rate as well. As we mentioned, your industry could change this. But it can also be determined in part by the source of the traffic to your site. 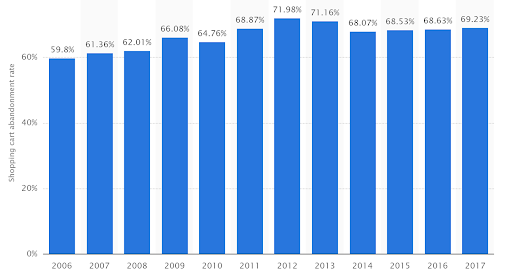 For example, if you have a high percentage of mobile users, you might have an even higher mobile eCommerce cart abandonment rate than average. Cart abandonment is correlated to screen size—the smaller the device, the less likely a customer will finish the purchase. And as the final nail in the coffin, even if abandoned carts aren’t an urgent problem for you now, they will be in the future. Every year, more carts are being abandoned. Taking smart steps to close more of those sales now means you’re more likely to succeed in the future. Over the last 10 years, failed purchases have grown by 10%. Putting some methods in place today can keep your store strong for years to come. With that said, what strategies work to help recover those carts? There are a handful of methods, and we’ll cover them in this article. First and foremost, though, you need to start taking it seriously. Start making progress on customers who abandon carts and you’ll start to notice just how many options there are available to you. For starters, you can target existing customer accounts where you already have their email address. This is a huge area for growth, since some emails provide as much as $8 in revenue per recipient. But focusing only on email actually leads us to the next myth. Most of the case studies you read about regarding cart recovery talk about email. Which subject line is the best? Which product recommendation algorithms work wonders? How can you increase open rates and maximize customers closing the deal with the cart they’ve filled up? But it’s easy to forget that email is actually just one tool in a giant toolbox of methods to recover abandoned carts. It’s not the only thing at your disposal, and if you forget that, you’ll be heading towards some big disappointment. 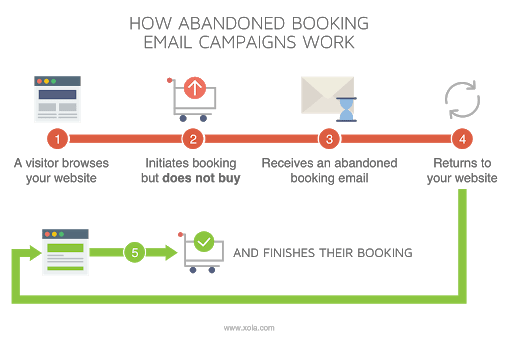 In reality, email is just one of many methods you can use to send people back to abandoned carts to fulfill their orders. But there are some problems with email. For one, lots of people will fill up a cart but won’t be comfortable handing out their email address. And email marketing doesn’t demand attention quite as much as newer notification systems. 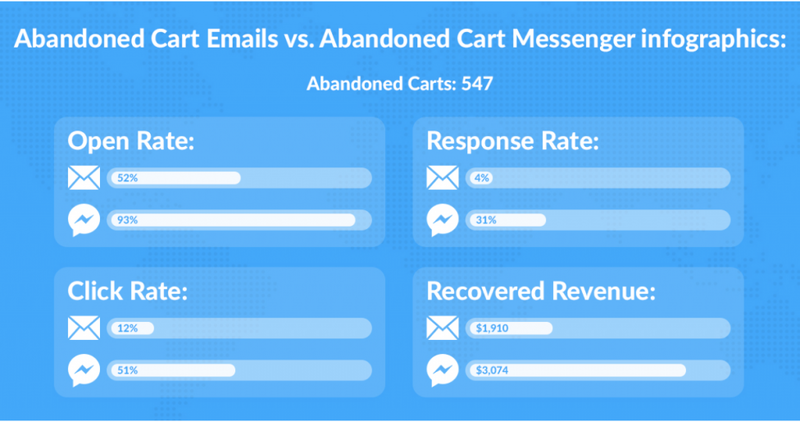 To be sure, cart recovery is a key component of email marketing. But you should also work on other methods to cover all your bases. For example, a technique that’s showing some great results is through Facebook Messenger. Because many people check social media more often than email, this can be a great way to get a shopper’s attention. Companies have already tried and tested this tactic and getting up to 98% open rate. You can also use push notifications, SMS notifications, retargeted ads, and exit-intent popups. In short, email is far from the only method available to today’s savvy eCommerce store owners. If you’re serious about making your eCommerce store pay off, you need to look into using a multi-platform campaign for cart recovery. If you’re using Recart, you can set these all up easily in a new campaign. Getting setup with a cart recovery process takes time. It’s complex and requires a lot of manual coding. You’ll need to set up a variety of unique triggers and custom targeting campaigns to reach buyers. It requires a detailed knowledge of high-level marketing automation, coding, API integration, and other features. It’s an effective technique—for those with the know-how to make it work. For the rest of us, it’s best to stick with making a great eCommerce store and leave the technical work to the big players. Actually, this myth was true—years ago. In the earlier days of the internet, you needed to be a programming whiz to even begin a basic cart recovery process. But today technology has come a long way. Most eCommerce store owners are using a platform, like WooCommerce or Shopify, instead of a custom-coded store. Those platforms make it really easy to plug in software that can handle automations without extra work on your part. In fact, you can automate the entire process with just a few clicks using the right type of software. And of course, if you want to get more technical you can always move forward with a more advanced algorithm. But to start out with, all you need to do is plug into a system that works seamlessly and plays nicely with what you already have. To start with, get set up with a simple automation campaign that will handle the difficult parts for you. You can then expand with your creativity to write interesting messages to keep customers engaged. With the technical aspect taken care of, you can spend your energy crafting messages and reminders that use your brand voice and personality. However you go about it, it can be a simple process without lots of extra work. And remember—once you start simply, you can always expand with new methods later on. Once you have something in place, you can find new ways to send out messages, test different versions, and learn the best times to send your emails. The key is just to get started. It’s easy to feel that an abandoned cart is hopeless. If your customers didn’t stick around to buy right then, who’s to say they’ll want to come back and buy again? After all, they didn’t find what they were looking for, or they’ve gone with a competitor. An abandoned cart is what it is. Accept your losses, improve your checkout process, and move on. Those customers are gone for good. 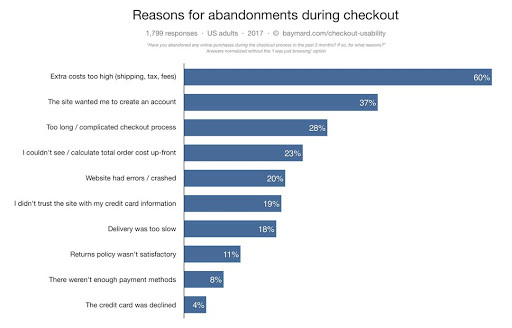 Like most myths, there is a grain of truth in this one: an abandoned cart definitely means you can improve your checkout process. But to say it’s hopeless is a statement that’s pure baloney. In fact, abandoned carts can be one of the best ways to win over customers that would have moved on otherwise. It isn’t a mysterious process. The reality is that there is usually a reason behind abandoned carts. The mindset that abandoned carts are a mysterious process can be problematic. There is always a reason, and understanding and responding to that reason is the secret to making your cart recovery process a success. Instead of giving up hope, start to look at and test what the problems might be. You can work backwards from the most common issues, such as extra shipping or requiring a user account. You can also use other tactics to increase the likelihood of a purchase. Some of these include using discounts to encourage purchases and time-based offers. A great example of a time-sensitive offer is this email from Massdrop, emphasizing that the item in the cart is available for a limited time only. These simple psychological techniques, sprinkled throughout your copy, are great methods to increase sales and make sure the customers who abandon the cart aren’t lost forever. Sending out communications about an abandoned cart, when the customer hasn’t purchased a product, are spam emails. Customers don’t want them and they’ll ignore them. An even more insidious level of this myth is that these emails are actually illegal, violating the CAN-SPAM law in the US, or the recent GDPR rules in the EU. And if nobody wants your cart recovery messages, what’s the point of sending them? Let’s tackle the legal element of the myth first—no, these emails are in no way illegal. Provided you’ve acquired the email addresses of customers through ethical means, this isn’t a problem at all. 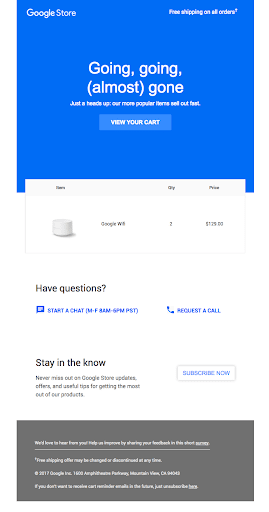 They provided their contact information to receive notifications about products that interest them, and a cart recovery message is a perfect example of this type of message. But if you need more proof, you can look no further than the conversion rates for these type of messages. 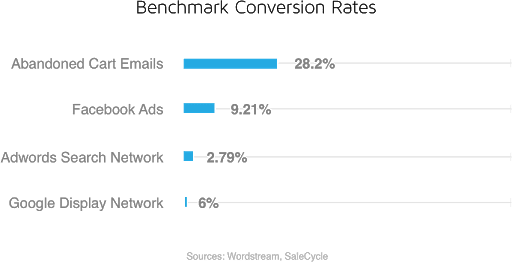 Abandoned cart emails have some of the highest conversion rates of all types of marketing channels. The implication is obvious—customers are actually very receptive to these emails. They’ve expressed interest in the product, and wanted to hear more from you. Nobody goes through the hassle of selecting products with the intention of forgetting about them. It’s your responsibility to reach out and follow up with those interested customers. Of course, the single best thing to do is to be bold and send a reminder message (or two, or more). You need to reach out to customers again and encourage the sale. Focusing on small details like customer follow up is one of the factors that can actually help double your annual growth. But of course, you need to follow any regulations in doing so. That means only send them out to customers who have given you permission to contact them, and include all necessary disclaimers and information in your emails. Don’t play games or be secretive about the purpose of your email, and you’ll be fine. You’ll provide a helpful service to the huge percentage of customers who were interested in the product but were unable to complete the purchase. So now you understand the truth behind some of the biggest myths of cart recovery. Rescuing abandoned carts isn’t a highly complex process, but it isn’t tied down to the traditional methods, either. 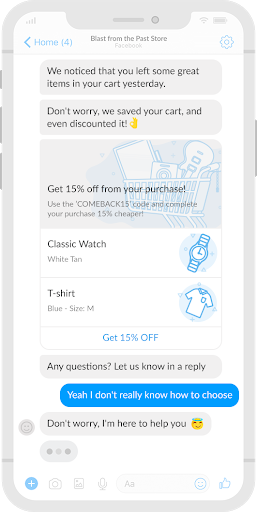 With today’s automation capabilities, you can easily program a cart recovery campaign that uses Facebook, email, SMS, and push notifications—without writing a line of code. You can merely plug into this type of software and start reaping the benefits for your eCommerce store. With a correct understanding of cart recovery, it’s a cinch to reclaim the money you’re losing every day. 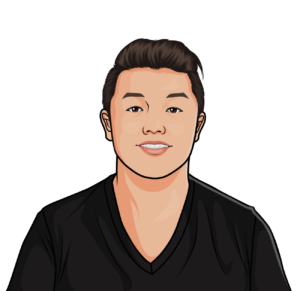 David Zheng is the Founder of GrowthWit and WiseMerchant and the Head of Growth at BuildFire. He helps influencers, ecommerce brands, venture backed startups, and Fortune 500 companies grow their traffic and revenue online.